I’ll have to admit that I didn't know much about Local Three, a venture between the owners of Muss & Turner's and Chef Chris Hall, aside from the fact it occupied the space where Restaurant Joel once stood. 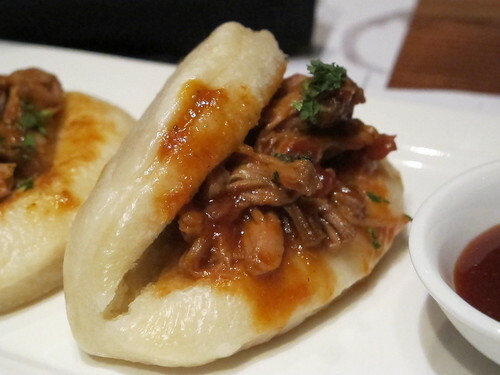 However a lack of background is no good reason to miss out on a restaurant especially with a few mouth watering pictures from Chow Down Atlanta to tempt the tastebuds. With my sister guiding the way through the office park and building, we passed through a distinct wooden door and into a world of black velvet Elvises, portraits of the Dude, humorous pig paintings, and a little food on the side. Chalk it up to Jennifer that the first dish on the table was an order of the house made pretzel. 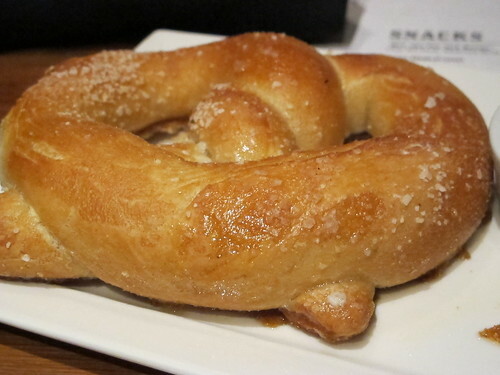 Plump, golden brown, and covered with salt, I wasn’t prepared for this pretzel to be so overdone. 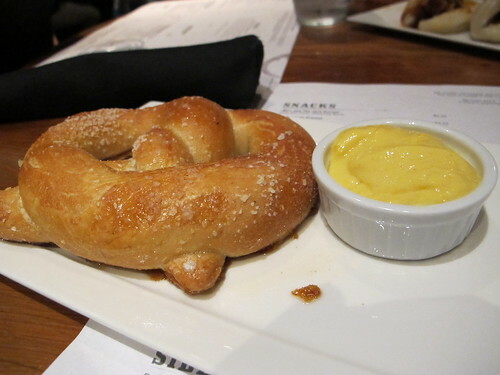 Dense and stale, this pretzel was a disappointing start to the meal. If anything stood out, it was the mustard. 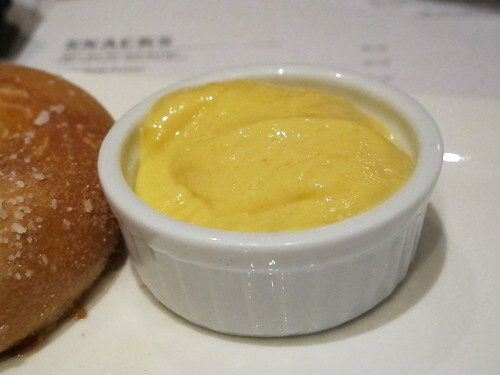 Sweet without any biting nasal heat, this mustard was different from what I’ve tried with other Atlanta pretzels. If Jennifer’s to blame for the pretzel, then the #47, aka The Jack Burton char sui bun was on me. 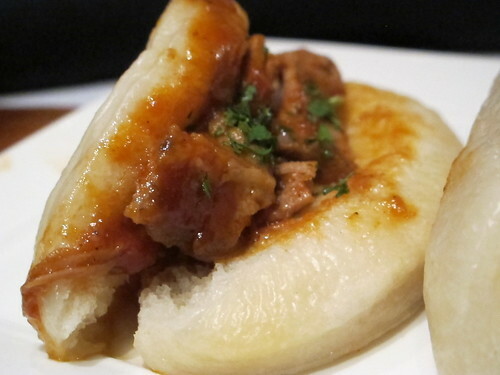 Beneath the plastic sheen of the bun was a generous filling of sauce logged, sweet and completely dry pork. Even with the overflowing sauce and a dunk in the hoisin flavored dipping sauce, the chalky texture of this pork was impossible to miss. 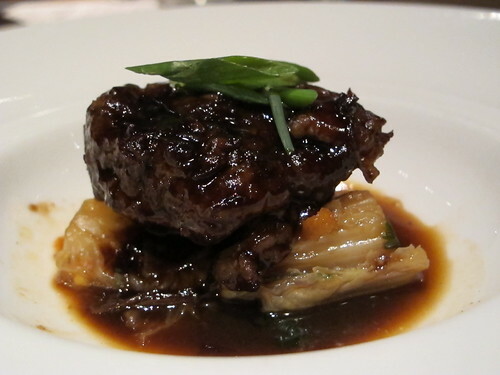 While the first two dishes weren’t giving much confidence in Local Three, the braised beef short rib stepped in to curry favor. Served with Ben’s “Kimchi” and spice route glaze, whatever that means, this short rib ticked all the right boxes, tender, juicy, and brimming with beef flavor. For something labeled as kimchi, even in quotation marks, I was surprised at the lack of potent flavors. 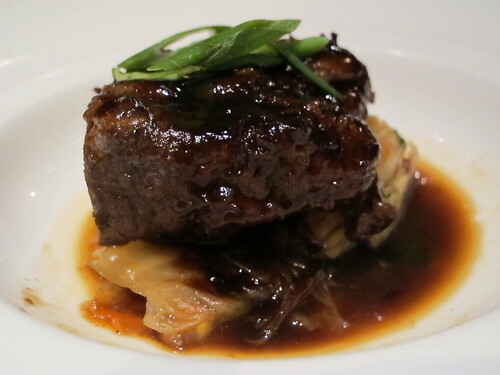 Every flavor in the plate served to further the short rib, not what I was expecting but still a fine result. 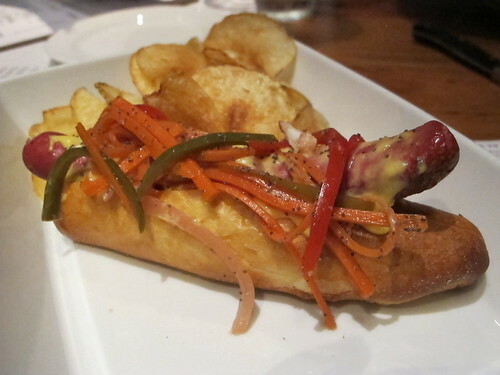 Moving back to the Snacks section of the menu, a Todd’s brisket hot dog was next. 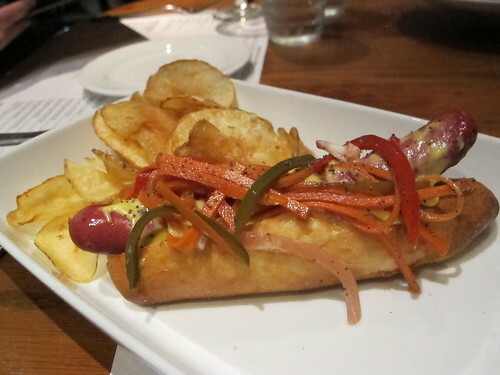 Pickled vegetables, poppy seeds, and a holla’ bun complimented a well made dog. The casing carried a satisfying snap with each bite while plenty of deep brisket flavor finished. The creamy sauce and poppy seeds were a nice touch but I found the bun to be cumbersome even for a hot dog of this size. As you might expect from a place with pig paraphernalia on the wall, Local Three has a healthy portion of their menu dedicated to pork. 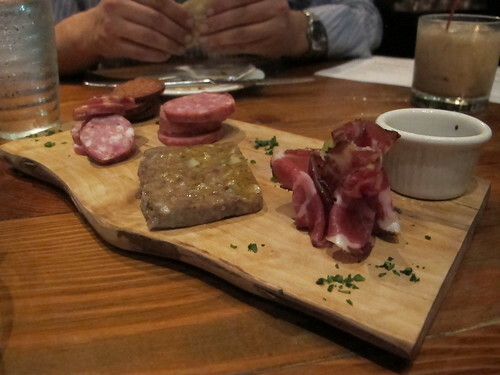 Titled The Notorious P.I.G., the charcuterie plate was where Local Three really began to shine. 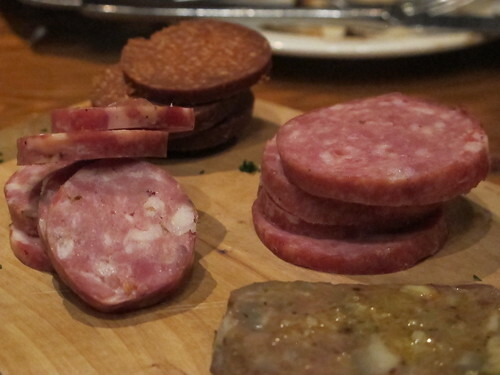 Thinly sliced coppa, a pork terrine, and three different types of salami made for $15 well spent. The coppa was sweet and meaty with a salty tail. 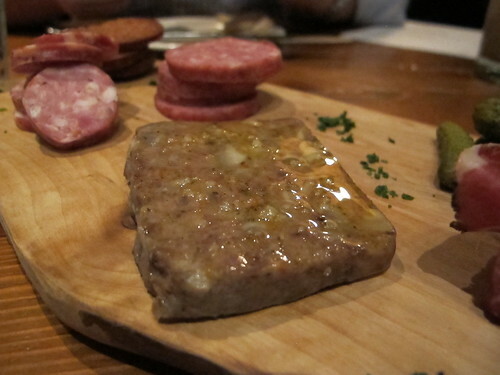 By far the richest thing on the plate, the slice of pork terrine was composed of thick, coarsely ground pork that tasted gelatinous, fatty, and herby. 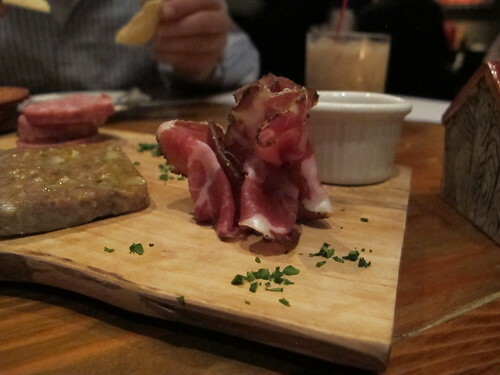 As good as the pork terrine was, the supplied cornichons were necessary to reel in the borderline excessive flavors. 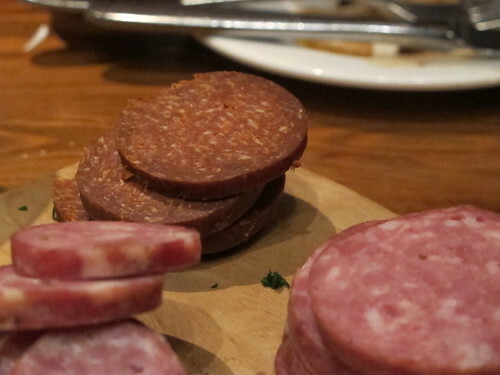 Two types of cured pork salami, one dominated by garlic and rosemary and the other pork and black pepper. A deep red, this salami did not disappoint. Each piece was bright and spicy with a lingering heat. 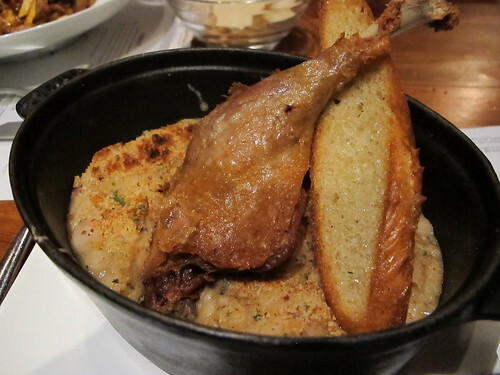 Rounding out the night was an order of the crispy duck leg cassoulet. Complete with white beans, sausage, herbs, and a crusty baguette, the duck was the highlight of the dish. A thick and crispy skin concealed a wealth of succulent meat. As for the rest of the cassoulet, thick white beans dominated, but every few bites, a piece of sausage made it worthwhile. Despite ordering far too much food for three people, we still left large swaths of the Local Three menu untouched. From what we did try, I would call dinner at Local Three a success. There may have been a few low points, but on the whole, Local Three is another welcome addition to the growing ranks of Atlanta new-southern, farm to table, etc restaurants. Local Three deserves a second visit if only to see their take on the classic burger.. I love Your pic. Nice blog!If you ever come to Vegas-try[url=http://www.milanos3.com][b]Las Vegas pizza[/b][/url] -You will love it! !